Veteran left back Waylon Francis, who struggled for playing time last season, has been dealt back to his original Columbus Crew side for $50,000 in General Allocation Money. Francis was projected to be third on the team's left back depth chart heading in to the season. 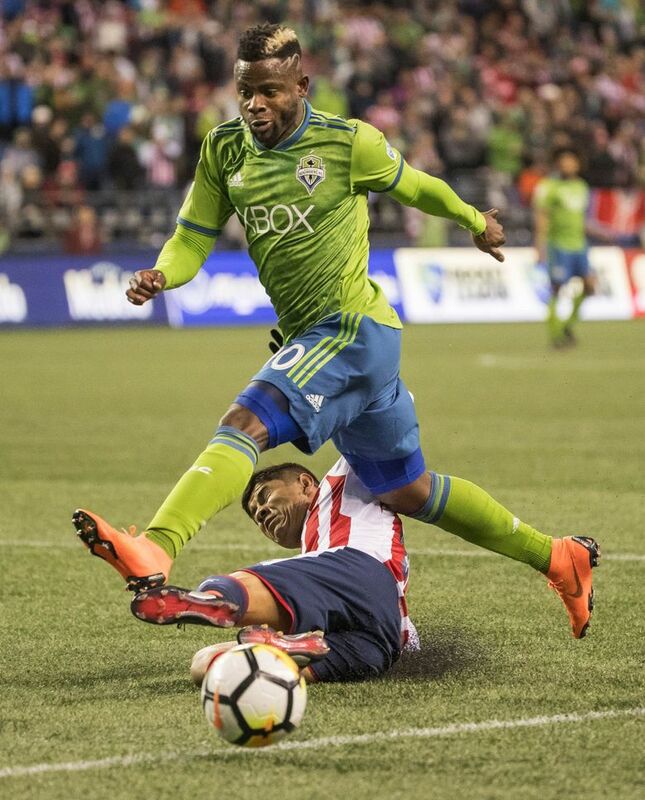 The arrival in Sounders camp Tuesday of Cameroonian left back Nouhou afer visa delays has allowed the team to complete a minor trade involving Waylon Francis that was a long time in coming. Francis had been largely ineffective as a left back with the Sounders since coming over a year ago to serve as a mentor and competitor for Nouhou and a depth replacement for departed Joevin Jones. With Brad Smith locked down at least until midsummer, Francis was the odd man out and thus was dealt back to the Colubus Crew on Tuesday for $50,000 in General Allocation Money. Nouhou passed his physical after arriving in Seattle from Cameroon and was expected to begin training on Tuesday. With Nouhou and Smith set to battle it out for the first string left back position, there simply was little place for Francis, 28, who logged one assist in 11 matches — five of them starts — last season and had trouble adjusting to the team’s system. The highlight of Francis’s lone season in Seattle may have been his 56-minute performance as a substitute in the opening leg of the team’s Western Conference semifinal loss to Portland last November. But that had been somewhat overshadowed by a training session eruption last summer over his lack of playing time with the team, resulting in him being a last-minute scratch from the team’s travel squad for a game in Portland. While Francis did apologize to teammates for his behavior and was said to have been a positive influence the rest of the year, it was evident he wanted the chance at more playing time that wasn’t going to happen with the Rave Green for any foreseeable future. In Columbus, where Francis began his MLS career in 2014 and played four seasons, he’ll be vying for a spot under the watch of new Crew coach Caleb Porter — formerly of the Timbers.